The NHS Traduced by Life Style Treatments & Political ambitions! 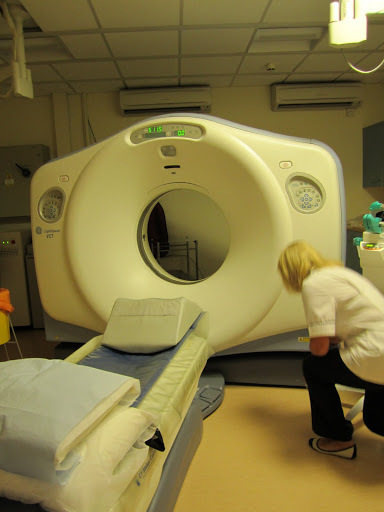 many will appreciate why the NHS lacks the needed capacity for scanners and has bottle necks in areas like Radiology and MAU Units, delays in A&E, filthy hospitals, parked ambulances with patients in, delays in surgery, late or inefficient diagnosis and a plethora of Hospital acquired diseases!. What have the breeding choices of foreigners to do with NATIONAL HEALTH – for that matter why are we spending money on breeding choices and lifestyle choices as a part of HEALTH Services when people are dying due to lack of Radiography facilities and MILLIONS of hours are wasted at huge cost in waiting rooms for lack of phlebotomists or technicians in labs. there is clearly no shortage of parasites in the Kleptocratic QUANGOcracy. By no means is ‘breeding’ at the expense of the lives of the dying a ‘basic human right’ when the money used to indulge these whims could be better spent on funding the equipment and staff for early diagnosis – that WOULD save lives! Two mothers who gave birth on the NHS in extraordinary circumstances have provoked a furious ethical row. The first case centres on a British 39-year-old who had a £4,000 cycle of IVF funded by the taxpayer after she claimed it was her ‘human right’ to receive it. Her son will grow up without a father. The second case relates to a Nigerian who flew to Britain purely to give birth to quintuplets conceived in Africa after she swallowed a course of high-dose fertility tablets. Her bill to the taxpayer is already £200,000 and she is fighting Home Office moves to return her to her home country. MPs and campaigners say an apparent fertility free-for-all is unacceptable at a time when the NHS is under unprecedented financial pressure. Hospitals are already slashing their budgets amid clear signs that waiting times are rising, optional treatments are being cut back and some members of staff face redundancy. Emma Boon, of the TaxPayers’ Alliance, said: ‘With such huge pressures in the NHS budget, taxpayers’ money should be going towards front-line healthcare, lifesaving treatments and helping sick people get better. 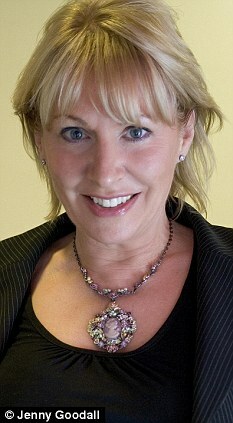 The IVF row has been sparked by former personal assistant Elizabeth Pearce. The 39-year-old had been turned away three times by her local PCT in Ealing, West London which said that as she was not in a relationship, she did ‘not meet the criteria’. But last year they threw in the towel after Miss Pearce, who is unemployed and on benefits, threatened the trust with legal action claiming they were breaching her ‘basic human rights’. She was given one cycle of IVF, which costs between £4,000 and £8,000, using sperm from a donor in the U.S. she had paid for herself. The treatment was successful and in January she gave birth to her son, Leo. 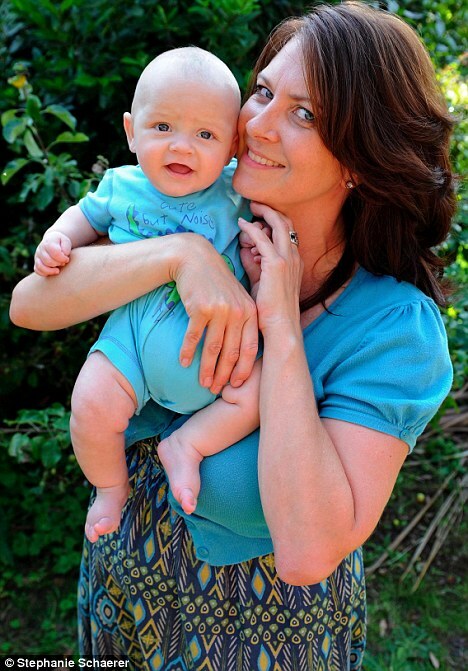 Miss Pearce, now living in Canterbury, was able to get IVF on the NHS thanks to a change in the law in 2008. This stated that health trusts no longer had to take child’s need for a father into account when considering treatment. It means lesbian couples and single mothers are all entitled to treatment as long as they can demonstrate they will provide ‘supportive parenting’. But the PCT’s decision to pay for her treatment will be seen as highly controversial as thousands of infertile, married couples desperate for children are routinely refused funding. A report by MPs earlier this year revealed that at least five cash strapped PCTs have stopped funding IVF completely. And three quarters of the 152 PCTs in England and Wales pay for only one cycle of treatment, even though NHS guidelines state that a woman should be offered three to maximise her chances of becoming pregnant. Tory MP Nadine Dorries said: ‘I’m not sure that taxpayers’ money should be used to fund the lifestyle choices for this particular individual. There are many couples who are desperate to have children who are failing. ‘I think taxpayers would be happy to pay for these sorts of people. Stephen Davies, a GP in Sheffield and spokesman for the British Fertility Society, said: ‘I don’t have a problem with this lady getting IVF. But I don’t think she should have got funding if it would be denied to other ladies in similar positions. Josephine Quintavalle, of the Comment on Reproductive Ethics pressure group said: ‘Every child has the right to have a father. 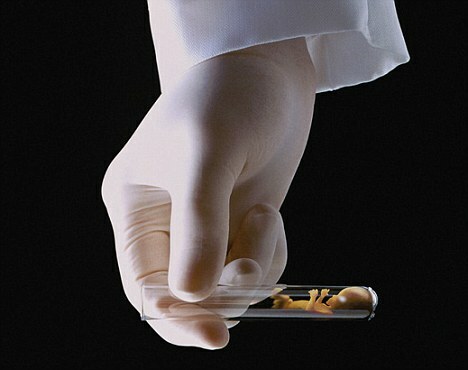 ‘Allowing single women IVF treatment on the NHS says more about the wishes of an adult than the rights of children. The second case is an extraordinary example of so-called ‘health tourism’ involving 33-year-old Bimbo Ayelabola, who flew to England last December from Nigeria after discovering she was pregnant. She gave birth prematurely via caesarean to quintuplets in Homerton hospital, East London in April. The cost of her treatment and the care for her five babies on a neonatal unit will be close to £200,000. As a Nigerian national she is not eligible to free treatment on the NHS but it is highly unlikely she will ever pay back the money. She is currently staying at her sister’s home in East London and has instructed lawyers to try to extend her visitor’s visa. Airport officials say they see dozens of women passing through Britain’s borders each year in advanced stages of pregnancy. With her biological clock ticking as she neared her 40th birthday, Elizabeth Pearce was becoming increasingly desperate for a child. And with no husband on the horizon, she decided IVF was the only way to fulfil her yearning for motherhood. The NHS at first refused to fund the treatment, which costs upwards of £3,000, as Miss Pearce was single and therefore did not meet its strict criteria. But a year and three appeal hearings later, Ealing Primary Care Trust in West London relented after Miss Pearce, 39, threatened to invoke the Human Rights Act. She is now the proud mother of five-month-old Leo. On the grounds of cost, the NHS spending watchdog Nice has rationed potentially life-saving treatments such as the bowel cancer drug Avastin and liver cancer drug Nexavar – the only medicine to offer any chance of survival for patients with advanced symptoms. But Miss Pearce, who was unable to pay for IVF privately after being made redundant from her job as a personal assistant, firmly believes that it is every woman’s human right to have a child. She says the treatment should not be the sole preserve of those in a relationship. During her stand-off with the West London PCT, Miss Pearce, who receives child tax credit and housing benefit, cited Articles 8 and 14 of the European Convention on Human Rights – the right to respect for family and private life and the prohibition of discrimination. 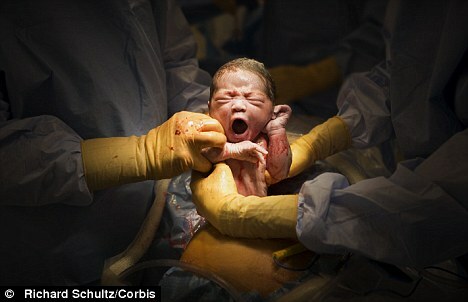 She told the Mail: ‘I believe that it is my right as a woman to be a mother. The fact that I am single is irrelevant. ‘I have wanted a child for so long and I tried to get pregnant the normal way for ten years – even when I was with men I didn’t really want to be with. ‘I got a job in an engineering company with lots of men working there as I thought I’d meet someone but it didn’t work out. Miss Pearce’s case was helped by a recent law change, the Human Fertilisation and Embryology Act of 2008, which means that clinics are no longer required to take into account a child’s need for a father when considering treatment. When she first went to her GP, she was living in a houseboat in Hayes, West London, but has now moved to a rented cottage in Canterbury. Undeterred, Miss Pearce took her case to her local PCT. ‘They didn’t want to know,’ she said. ‘The doctor told me they had a policy of not funding single women because a child has a right to a father. I was shocked. I couldn’t afford to have private treatment and, perhaps naively, I’d assumed the NHS would fund it. ‘I know PCTs are short of funding, and some people claim that wanting a child is not a life-threatening condition, but nobody can comment until they have experienced the overwhelming urge for a child that I felt. In September 2009, Miss Pearce was given the go-ahead to commence treatment, which started the following June. She paid £900 for sperm from an anonymous U.S. donor, of whom all she knows is that he is a mechanical engineering student who likes to play chess, the violin and basketball. She became pregnant after the first round and gave birth to Leo in January. Miss Pearce added: ‘In an ideal world, Leo would have had a dad in his life, but that’s not the way things worked out. It’s not like I had some glittering career and put off having a baby for selfish reasons. I’m very maternal and have always wanted a child. ‘As for the NHS paying for it, I understand it’s a sensitive issue but I truly believe single women have just as much as a right to a child as couples do. Miss Pearce admits her heartache was worsened by the fact that her two sisters, Jane, 41, and Claire, 38, were both happily married with six children between them. Miss Pearce receives support from her mother Hilary, 63, who lives nearby. She insists she has no regrets and will return to work when Leo is older. She also hopes to find a partner so that Leo can have a male role model. ‘I know that one day he will ask me who is daddy is, and I have been in touch with various donor support groups to help prepare me for this and what to say. ‘I know Leo may never know his father, but I’ll always be open and honest with him about how he was conceived. People say I’m a good mother and that’s all I can strive to be. I have so much love for Leo – and I honestly don’t know what I’d do without him. A Nigerian woman who has cost the NHS up to £200,000 after flying into Britain while expecting quintuplets is to fight for the right to stay. Bimbo Ayelabola, 33, who had been taking double doses of a fertility drug while in Africa, applied for a six-month visitor’s visa within days of discovering she was pregnant. As soon as it was granted, she travelled to the UK without her husband late last year on the pretence of visiting her three sisters. An emergency NHS scan showed she was expecting four babies. Owing to the size and complexity of the birth, she underwent a caesarean section 32 weeks into her pregnancy on April 28. 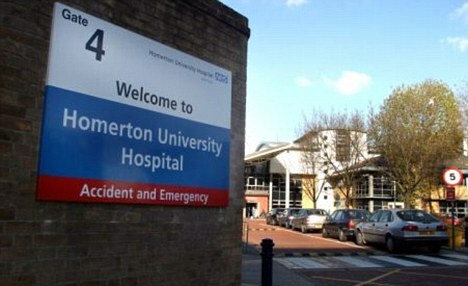 During the procedure at Homerton Hospital in East London, doctors discovered there was a fifth child. She gave birth to two boys, Tayseel and Samir, and three girls: Aqeelah, Binish and Zara. Although she was due to leave last week, she believes the children are too frail to travel and has instructed lawyers to seek an extension to her visitor’s visa. The total bill to the taxpayer for Mrs Ayelabola’s care alone is expected to reach £200,000, which she is unable to pay. The five babies were all treated in a special care unit because they were born prematurely, at a cost of £1,000 a day for each of them. Consequently, the cost of a week’s hospital care for the family would be a staggering £35,000 for the taxpayer. The issue has raised yet again the issue of so-called ‘health tourism’ – in which foreigners can use Britain’s state-funded health system. It is estimated to cost the NHS £200million a year. Foreign nationals should be charged for the full cost of any treatment they receive, with most hospitals employing overseas visitor managers whose job is to identify those who must pay. But urgent treatment such as maternity care will always be provided regardless of residence status or ability to pay. 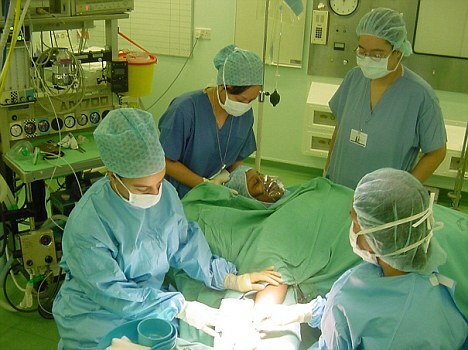 Hospitals must then take reasonable measures to recover any debts from overseas patients. Many bills are never settled, however. And border officials repeatedly report seeing passengers arriving in an advanced state of pregnancy after securing a visitor’s visa. Around 150 cases a year are identified at Gatwick Airport. Mrs Ayelabola, whose 37-year-old husband, Ohi, remains in Nigeria, has signed a five-figure deal with a red-top newspaper. She said in an interview: ‘I had already had miscarriages and couldn’t bear the stress another pregnancy would cause. So I decided to visit my family in London. I thought I would stand a much better chance of avoiding another miscarriage in a calmer place with friends and family. Mrs Ayelabola says she was unaware she was expecting as many as five children. 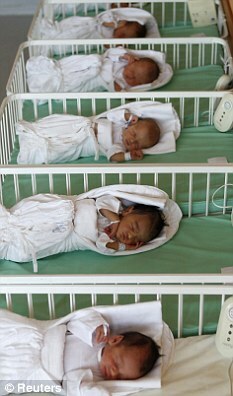 The multiple birth is the likely result of the fertility drug Clomid, which she purchased over the counter in her home city of Lagos. She began taking two pills a day – double the normal dose – and continued the regime for eight times longer than recommended. Her children are being cared for with the help of her 26-year-old sister Stella, with whom she is living at a two-bedroom flat in Poplar, East London. Mrs Ayelabola, who is not entitled to any state benefits and does not have the right to work, says she is struggling to pay for her family, with nappies and milk powder alone costing her £70 a week. Despite being born in the UK, the children do not have an automatic right to British citizenship. To qualify, they would need at least one parent who is British, or who has indefinite leave to remain in the country. The UK Border Agency can deny someone entry into the country if they believe they are seeking free healthcare. But the rules are hard to enforce. In March, the Government announced plans to tackle health tourism. Measures include preventing anyone who owes the NHS more than £1,000 from entering the country until the debt is paid off.
. If YOU want to follow my fight against Cancer from when it started and I first presented with symptoms see The TAB just below the Header of this Blog. called >DIARY of Cancer< just click and it will give you a long list of the main events in chronological order. . Thoughts and comments will be in chronological order in the main blog and can be tracked in the >ARCHIVE< in the Right Sidebar. You may find the TABS >MEDICAL LINKS< and also >CANCER LINKS< of help. . YOU are welcome to call me if you believe I can help in ANY way. . This entry was posted in Daily Mail, Health care, Homerton University Hospital, In vitro fertilisation, IVF, Life Style Services, NHS primary care trust (PCT). Bookmark the permalink. gives these kinds of information in quality?